This three to four day course provides participants with the processes, industry standards, information, and tools necessary to implement (or evaluate) a credible verification and validation program. Emphasis is on practice over theory using a fully functional (hardware and software) benchtop satellite as the EyasSat system. 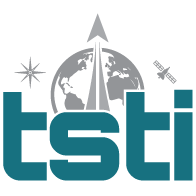 The EyasSAT™ benchtop satellite has all of the major subsystems of any operational satellite, and serves as a testbed/instructional tool throughout the laboratory. Participants are introduced to the hardware and software associated with a system of interest, along with an end-to-end set of requirements, constraints, plans and procedures. Participants are provided with key lectures and resources and asked to use these processes, tools and information to develop validation and verification plans and then implement them in a hands-on laboratory where they will learn by doing. Explain the end-to-end SE process and how it applies to system (and lower level) requirements definition, allocation, validation and verification. Describe the purpose and scope of key documents required in the validation and verification processes, and identify typical errors committed. Determine appropriate circumstances and applicability of verification methods to prototype and proto-flight systems. 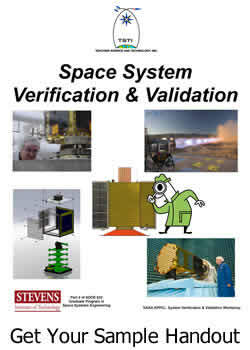 Analyze representative verification plans, test sequences and activities for an example system of interest (spacecraft). Describe capabilities of various automated requirements tracking tools (e.g. CORE and DOORS) and their applicability to the validation and verification process. 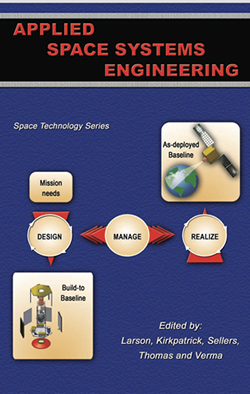 Develop, evaluate and implement a master verification plan for a space system including hardware, software and associated ground support equipment (GSE). Use applicable NASA, DoD or ESA Standards and lessons learned to support system validation and verification decisions and activities. Engineers, principal investigators and project managers who are responsible for the detailed design and operation of space systems.